My SBI! Review-Dreaming your passion? Read this review why you should not miss the SBI! bus to realize your dreams! I am Dr. Umapathi Mangajji. My blog, Nutrition-and-you.com, aspires to spread awareness, and knowledge about what people eat by providing a comprehensive outlook of various food items. It is not uncommon for any practicing physician in India to spot various nutritional deficiency diseases prevailing in the communities. People generally not quite sure what those carrot, pumpkin, apples hold! What surprised me was that the majority of these illnesses could easily overcome through simple modification of their eating habits. So, I decided to share my knowledge of nutritional value of some of common food items through the electronic media, and create my own blog, and spread the awareness message which could freely be accessible to everyone on the globe! Meanwhile, I was not equipped with the knowledge of how to give life to this thought; without allocating much time to build it, and without compromising on my office and my family life at the same time. All that I knew was just "content" but lack of ideas on how to put that content on the internet. While pondering on the net for a reputed host who could effectively deliver all my needs, like hosting, domain management, etc., and who could hold my hand and walk me through tens of hundreds of "how to do's," I came across sitesell.com. I subscribed to SBI! immediately and everything was a dream thereafter. 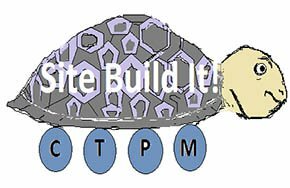 Site Build It guided me through the proven path of C->T->P->M. In just 2 years after launching, several pages of my blog secured top position in search engines of google, yahoo, etc., and reached inside 1,00,000 Alexa ranking. My website also topped among the SBI hosted sites for couple of seasons. It was 9 years since I begin working with Site Build It! And my experience has been tremendous! There are many successful SBIers now well within 50,000 Alexa rank and influence other bloggers, of course, through mouth-to-mouth positive SBI! reviews. Thanks to the site build it and the Dr. Ken team, I not only able to construct a credible online resource blog on nutrition niche, but also able to earn regular income stream from Google Adsnse, oftentimes in 4 figures every month! In Solo Build It! (earlier Site Buid It! ), any amateur bloggers could get easy help from the management, from the fellow bloggers in the SBI! Forum, and tons of articles on tips and techniques contributed by fellow SBIers for SBIer on any "how to?" issues. Why this SBI! Review now? Here are some wealthy affiliates (WA) spreading "fake reviews" about SBI!, tricking innocent online surfers towards them and try to show how better they are than the Site Build It! However, they seldom become successful in their venture. On the contrary, they could only instil doubt in the minds of reviewers by spreading malicious news about others since they themselves are "fake". Repeated SBI! research studies suggest that 87% of Wealthy Affiliate sites are "Invisible." Find out the truth here- review of wealthy affiliate! (WA) just for comparison, how SBI! sounds advantageous over WA. Site Build It! has given me wings to fly, siesta to dream, cheetah power to chase my passion and a potful of honey of satisfaction! I was looking for a nutrient breakdown for grapefruit and came upon your fantastic website. Unfortunately, it isn't clear from your breakdown what the portion is. It would be magic if you could do a "per item" breakdown for those of us who don't weigh portions. Unless of course the breakdown I saw was in fact per item.... Am I missing something here?? Quite possible but thanks anyway for an amazing website. P.S. Also included is the user's IP address below, which we detect at the time the user submits the form. This verifies that each submission is from a unique visitor. Thanks for your time and warm regards. <<-Back to Home page from SBI Review.